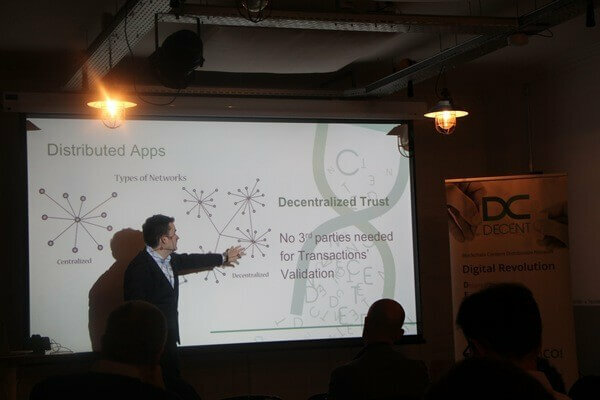 In a smooth lighting, residing at open office space and encircled by fintech and blockchain enthusiasts, Matej Michalko, co-founder of DECENT Network, attended a modest gathering at Impact Hub Geneva, on 31st October. Since he’s currently touring the world, promoting the core principles of the company, a short stop in DECENT motherland is considered mandatory. With these conceptions in mind, he introduced the blockchain project, mechanics and DECENT role in adopting it and use it as a distributional platform. For this to happen, few necessary steps must be undertaken – further development of DECENT protocol, a building block for every applications to be working under. He stressed the importance of quality of services DECENT plans to initialize in the near future. In length, he pointed out the benefits of DECENT Music, that would enable authors became their own masters, monetizing their own material on behest of no publishers, just consumers. DECENT Stream grabbed everybody’s attention thanks to promise of the same amount of content offered without regional restrictions and financial strangleholds. Matej Michalko pointed out the benefits of security measures, celebrating the cryptography and immutable ledger as means to protect one’s authors and property rights from fraudulent behaviour. 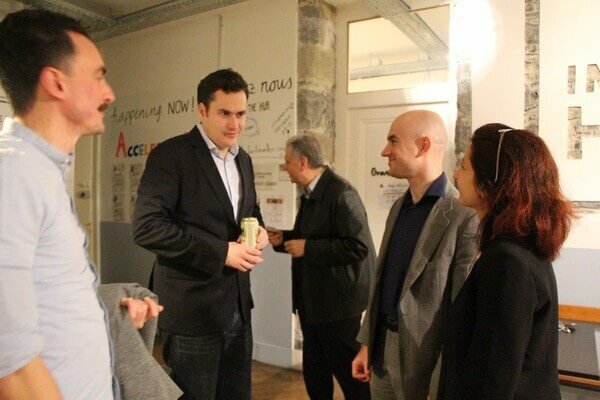 Event set up by Swiss organizer and blockchain fan, Daniela Jindra, appreciated Michalko’s endearing speech about recent DECENT successes, including relatively recent expansion into Armenia and Shanghai, multiple partnerships and ICO, which was being ongoing in the time of the meetup. 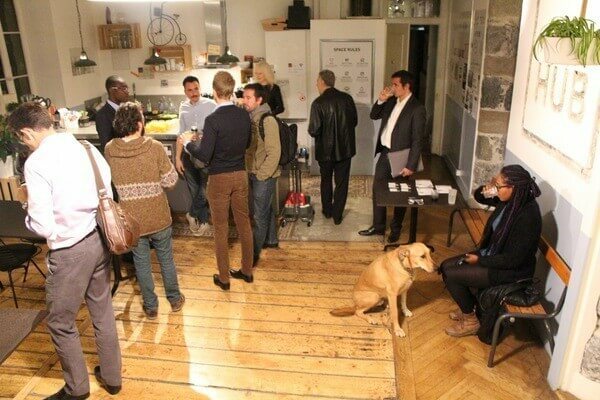 Other than the official speech part, the evening continued with relaxed, but extensive discussions in the lounge area where guests enjoyed well-brewed coffee while the music played in the background. Chillout atmosphere let other people to approach Matej Michalko and confront him personally with their opinion on blockchain potential for the future of business. Yet, this venue wasn’t the only one DECENT participated lately. To find out more about our activities, check out our website, follow our channels and get the fresh info.